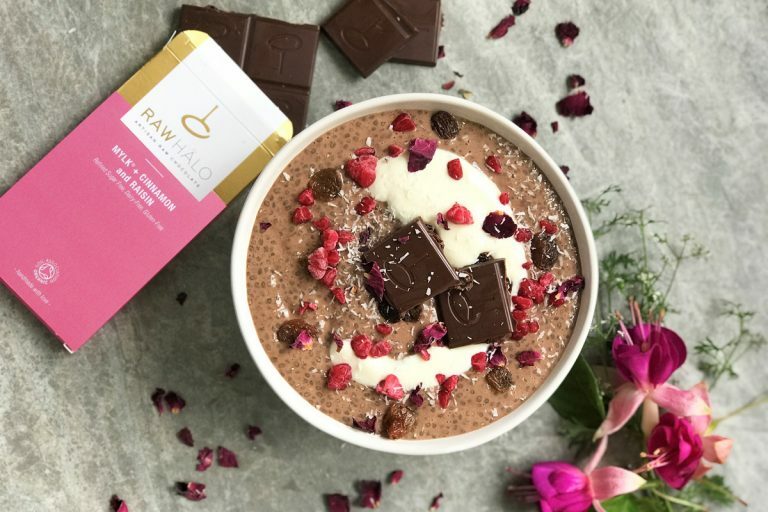 If only every meal could be as delicious as breakfast - especially when your breakfast is this festive Chocolate, Cinnamon + Raisin Chia Pudding. It's a super quick, super easy recipe that's bursting with energy and goodness. 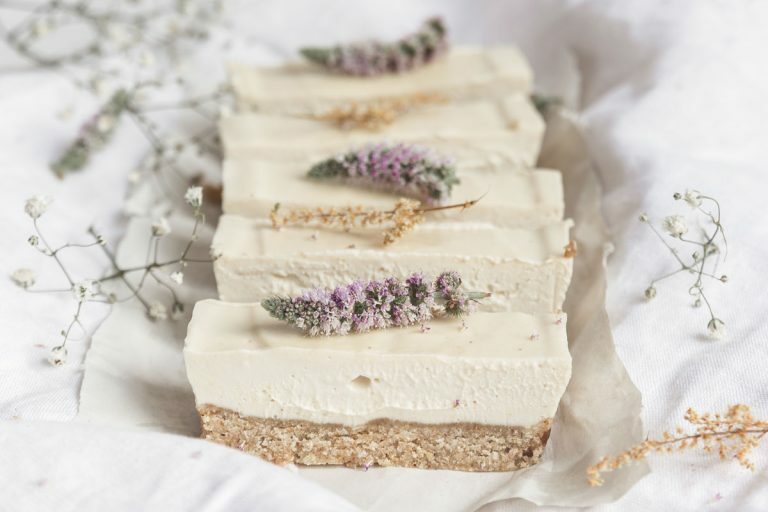 The dinner party essential…this rich and indulgent lemon and cacao cheesecake is a must have for impressing your guests. 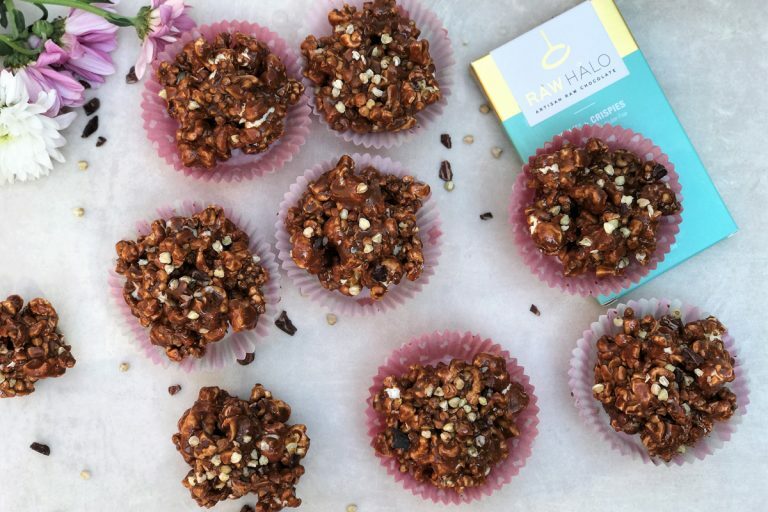 Simple and delicious, the healthy alternative to our childhood favourite – chocolate rice crispy cakes! 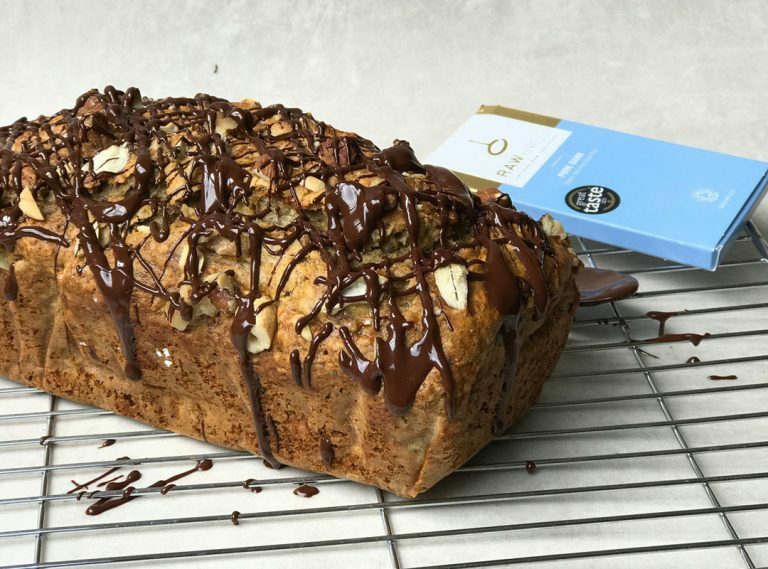 A delicious and natural version of the classic banana bread with a Raw Halo twist. Be the best picnic host this Summer, with this tasty combination. 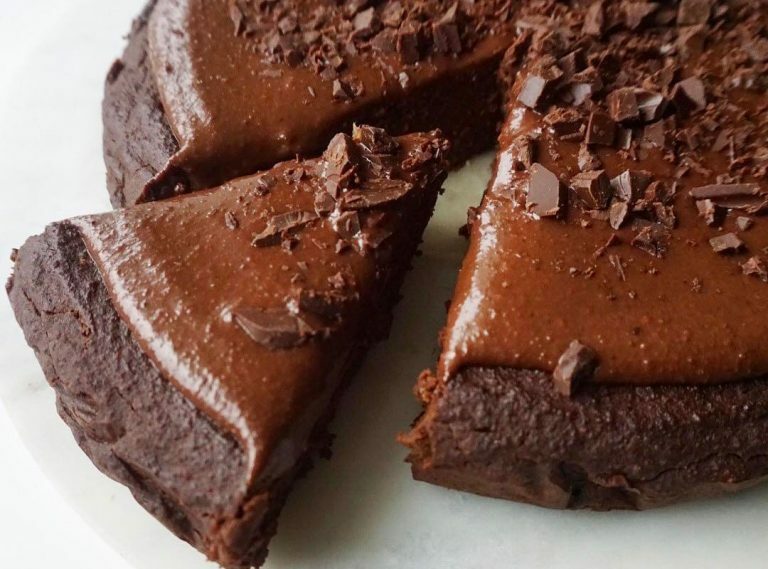 Vegan friendly and no refined sugar - what's not to love?! The perfect show-stopping cake to be the centre piece at any party. 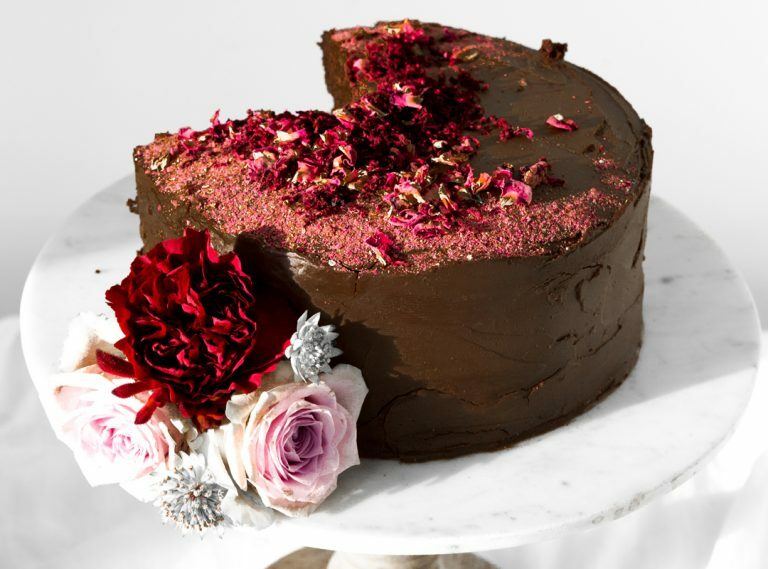 Our Beetroot + Avocado Chocolate Fudge Cake is an indulgent and decadent treat made from all-natural ingredients, plus it's gluten-free and vegan friendly. 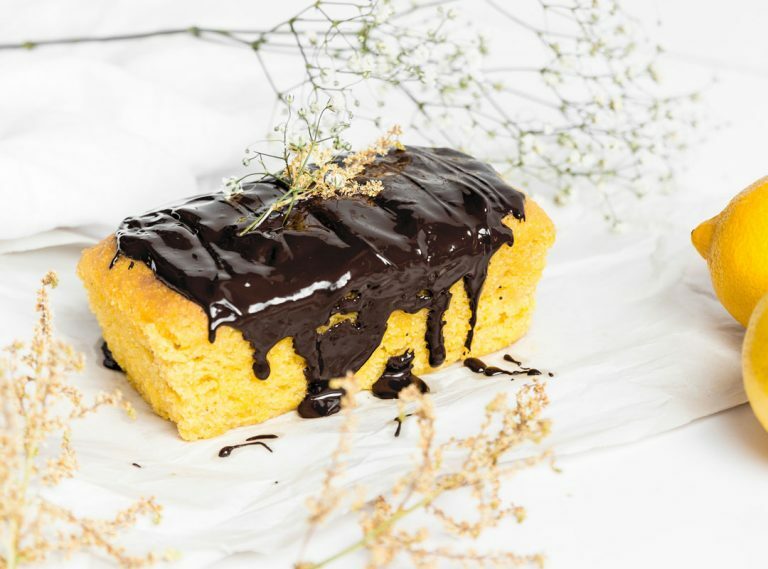 Giving the classic English teatime favourite, the lemon drizzle cake, an Italian twist is this delicious Lemon Polenta Chocolate Drizzle Cake, made from all-natural ingredients. 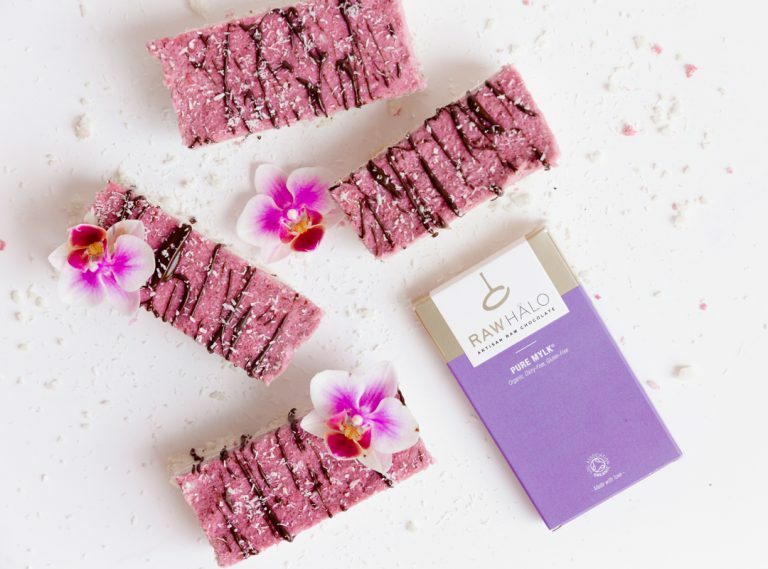 It’s cake time with these pretty-in-pink raspberry and coconut raw bites. The perfect addition to your afternoon tea party with friends. We're huge advocates of the idea that you can have your cake and eat it; your Salted Caramel Chocolate Ganache Cake to be exact. 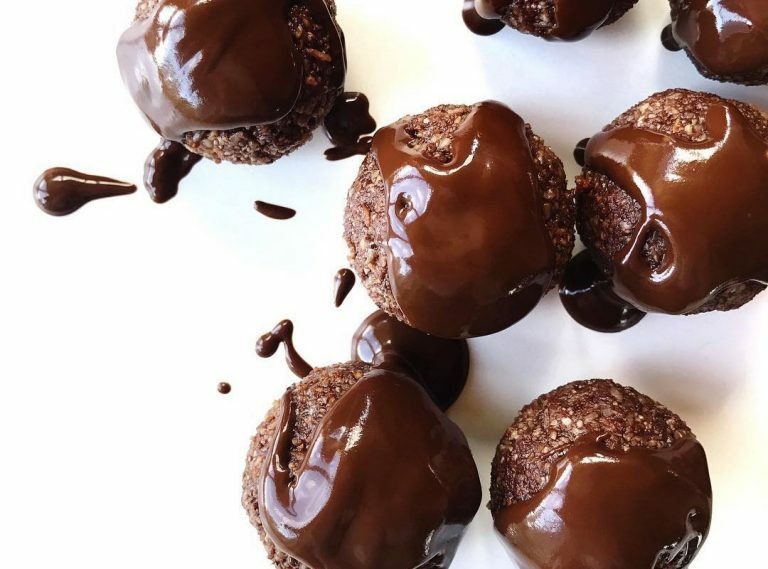 Just seven ingredients these bliss balls will fast become your staple for go-to snacks, whatever the time of day!